Although more than three months from 2019 had passed and cryptocurrencies managed to rebound from lows, the ICO market continues to remain depressed, which leads people interested to invest in blockchain-based startups to search for alternative investment vehicles. The trust in ICOs had been severely weakened, both by the huge level of scam and by the huge amount of volatility that erased more than 80% of the global market cap. Because of that, a new trend is emerging in the form of Initial Exchange Offerings or IEOs. But yet, is it substantially different, or not at all? As the name suggests it, an Initial Exchange Offering (IEO) is conducted by an exchange platform on behalf of the issuing company. The token sale does not take place on the issuer’s website, but directly on the exchange platform, benefiting from the exposure on an already-established clientele. Because the entire process takes place on an exchange platform, the issue has to pay a listing fee along with a predefined percentage of the tokens dedicated to the sale. After the IEO is finished, the token involved gets listed and can be transacted by all the clients. Are there any benefits in doing an IEO? In terms of security issues, an IEO looks more reliable. There had been many situations in the past when someone duplicated a website which was conducting an ICOs, misleading people into investing their money into the wrong place. With an IEO, only already-existing clients of the exchange platform can get involved, which reduces the risk of someone cloning the platform itself. Second of all, exchange platforms want to act in the benefit of their customers, so they won’t jump in and conduct IEOs for all the suspicious companies. A set of rules need to be respected and the IEO itself will act as a filter against scam companies. The endorsement received from the exchange can also serve as sales boost and tokens are able to be sold much quicker. However, one should never think that only because a company sold tokens via an exchange that will surely lead to future success. 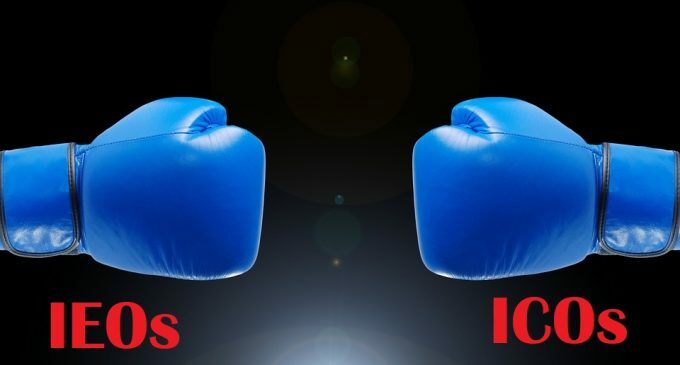 IEOs carry several advantages as compared to ICOs, but still, whether or not you will have future returns on your investments will depend on whether the company will be able to deliver its promises from the white paper, and thus far most of the companies failed to do it.